The laundry is often neglected in a home. 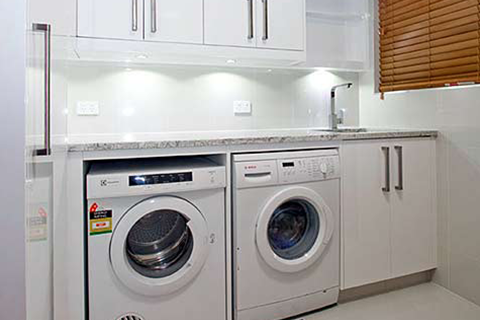 Best Price Bathrooms believe you can transform a laundry into a room which is space saving and very functional. We can advise on how best to transform this space into a modern and userfriendly workspace.